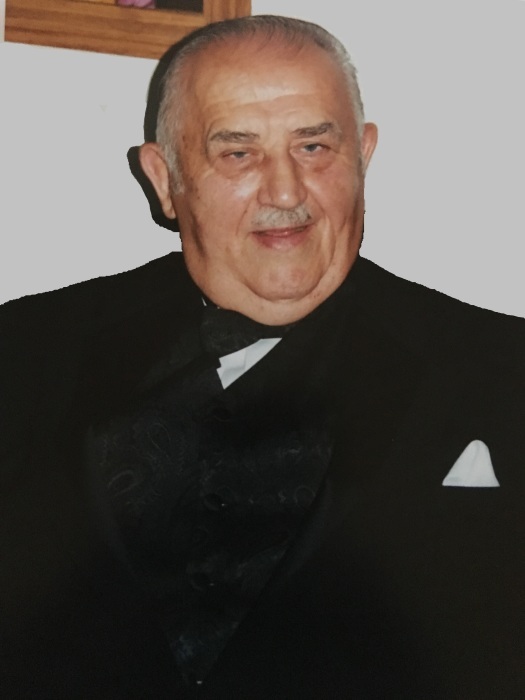 Mervin Todos passed away peacefully on Thursday, November 15th, 2018 at the age of 82 in Yorkton, Saskatchewan. His wife Rosemarie, along with his son Darcy, were at his side. He was the oldest child of Nick and Mary Todos. He was raised in a Catholic household and was baptised in the Ukrainian Catholic Church. He met the love of his life, his brown eyes, Rosemarie Nagy and they were married June 27th, 1970. Merv was a master of many trades and hobbies. Such as his love of cars, yard work, his grandchildren, dogs, auto traders, westerns, comics and Ukrainian music. He enjoyed being around his loved ones and was always present when someone needed him. Merv would enjoy going weekly for coffee with friends and to the rosary group. Merv worked various jobs throughout his life providing for his wife Rosemarie and his three sons Dwayne, Darcy, and Daryle Todos. He drove for Kleysens and Atomic, and worked for Parkland Tire. Mervin was a very determined and skillful driver. He was able to keep up to company trucks with two drivers all by himself. He retired in 1989. Merv met his best friend Benji in 2002. He and Benji would take many naps together. Mervin always had a love for horses. At a young age, he would get in trouble from his father for feeding the horses too many oats. Mervin loved good food, especially Rosemarie`s baking. She would often find empty baking containers in the deep freeze. His grandchildren were his pride and joy. He never hesitated at the opportunity to support them in one of their many activities. Mervin was artistically gifted. He would often be found drawing animals for his grandchildren, specifically horses. Mervin would always put others before himself. He had a way with tools and could build or fix anything. Mervin was predeceased by his parents, Nick and Mary Todos, and his brothers, Rusell and Zane Todos. Merv leaves to celebrate his life: his loving wife, Rosemarie, and their three sons, Dwayne (Faye, Sarah & Tanner, Braden) Todas of Yorkton, Darcy (Dietta, Zachary, Mathew, Jesse) Todos of Saskatoon & Daryle (Terra) Todos of Airdre (Alberta); numerous brothers and sisters-in-law, nieces, nephews, and friends; his two brothers, Matt (Thelma) Todos of Shaunovan and Eugene (Anita) Todos of Hudson Bay along with their families. Our family would like to extend our sincere gratitude to family and friends who visited Merv and Rosemarie at the Nursing home and those who sent food, flowers and kind thoughts and prayers our way. The family would also like to thank Fr. Louis for his ongoing support especially in these past few weeks and Fr. Francis for celebrating with us today. Thank you to the nurses and staff of the Yorkton and District Nursing Home South Unit Melody Manor for their support, care and guidance and thank you to Dr. Van Heerden. Special thanks goes out to Mary Bibliw, the Pallbearers, readers, and choir. Lastly, a final thank you to everyone who attended to celebrate Mervin`s beautiful life. Donations in Mervin`s memory can be made by mass cards from St. Gerard Parish or donations to the Allan Blair Cancer Centre.